Since I've quit eating kibble, I've decided to explore a few of the high quality options available to me. 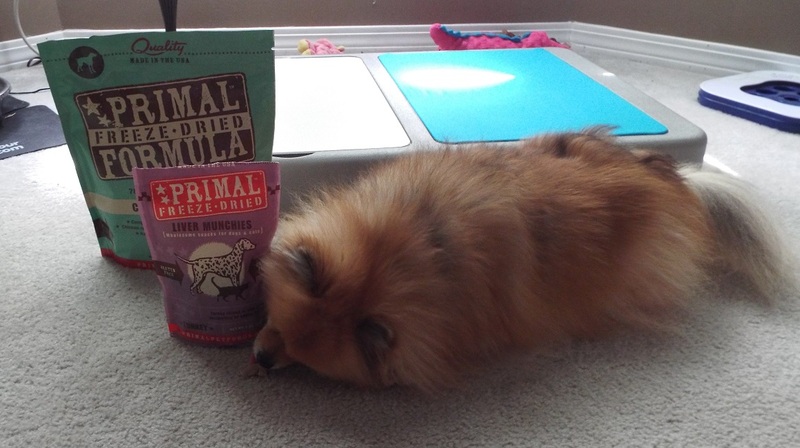 The humans at Primal Pet Foods asked me if I would like to try one of their foods. 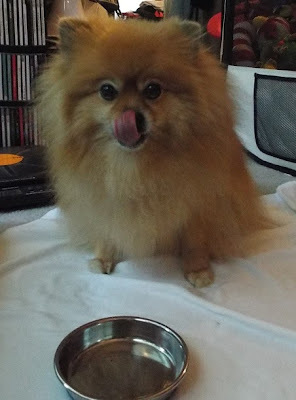 Mom visited the website, liked what she saw, and agreed that I could try some of the Freeze Dried food. Primal makes both freeze dried and frozen raw foods for dogs & cats. 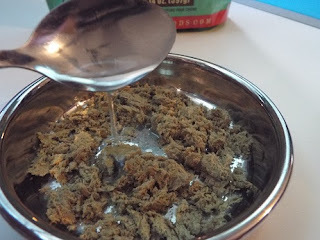 Mom requested the freeze dried formula because it is convenient when we travel. Mom keeps saying that she is not going to carry around a hunk of raw meat in her purse. BOL! However, she is pawfectly willing to carry a ziploc bag with a Primal freeze dried nugget in her purse. I say it's really my purse because most of the stuff in it is for me. BOL! Guess what! 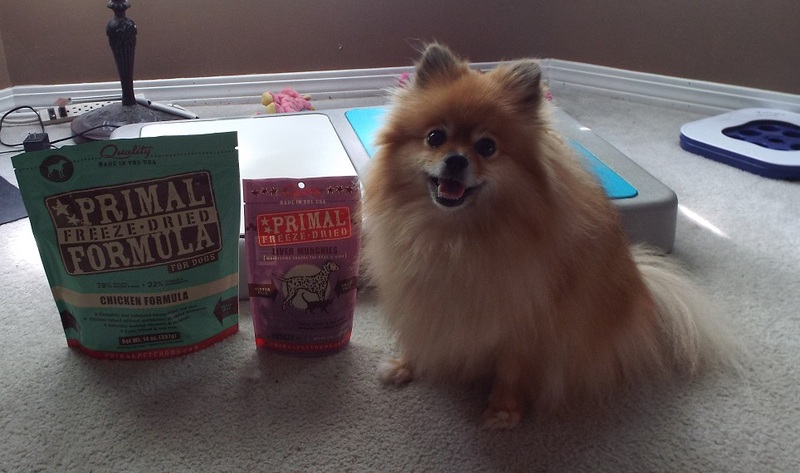 Primal also sent a bag of treats when they sent the food! I think the Primal Freeze Dried Liver Munchies turkey treats are delicious! Both cats and dogs can eat these yummy treats. Primal treats are made in the USA, from turkeys raised in the USA. The turkeys are raised without antibiotics or added hormones. Of course Mom read the ingredient list before she opened the bag. This is what a nugget of Primal Freeze Dried Chicken Formula looks like. 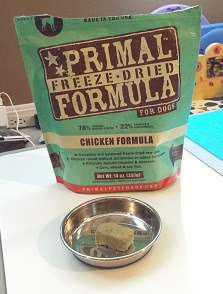 I received a bag of Primal Freeze Dried Chicken Formula food. Mom read the bag and it said my food is "formulated to meet the nutritional levels established by the AAFCO Dog Food Nutrient Profiles for all life stages." That's good to know! Naturally Mom was also concerned about germs when feeding me raw food. Primal has a whole page that describes the precautions they use to ensure that my food is as safe as possible. After Mom read the safety information, she feels confident that my food is safe. Mom crumbles up the nugget so that it can absorb the water faster. Mom also read the ingredient list to see what she would be feeding me. Primal is full of great healthy ingredients! Primal foods come in premeasured nuggets. The bag tells you how many nuggets to eat per day. I am still on a d-i-e-t, so I only get half of the amount suggested for a dog my weight. I haven't lost any weight, so Mom knows that I don't need the full recommended amount. I wish I did though, because it is delicious! The premeasured nuggets are very convenient. Now it is re-hydrated and ready to eat! Primal is easy to prepare. 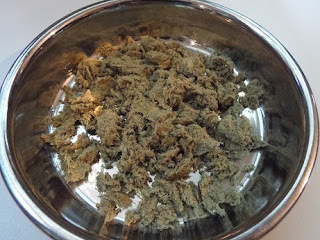 Step 1: crumble a nugget into your bowl. Step 2: add a tablespoon of water for each nugget. Step 3: stir the mixture to spread the water around & rehydrate the food. Step 4: put the bowl on the floor for me to eat. I'd tried to trick Mom by adding "Step 5: repeat", but she wasn't fooled. BOL! Of course I lick my plate clean! I love the taste of Primal foods! I received the chicken formula to review, but I have also tried a few of the other formulas. 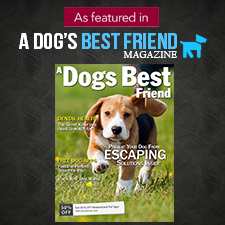 Our local independent pet supply shop carries both freeze dried and frozen Primal formulas! Mom bought a bag of the frozen venison formula after Oz the Terrier said how yummy it was! BOL! Thank you Oz for convincing Mom that I should have some frozen venison! Delicious! My pawsonal goal is to try all of the Primal Freeze Dried Formulas! Mom buys a different one from the local store's available selection each time. My bowl is empty and ready for more delicious Primal! Please! I have a few questions for the humans. What form do you choose to feed (cooked/whole food, freeze dried/dehydrated, frozen raw, canned, kibble, other)? Do you prefer prepared or home made? What are your thoughts about feeding freeze dried food? Basically, tell me all about your food choices! I love to woof about food, BOL! I'm fed home cooked, and have been on that for nearly 2 years. Mom MUCH prefers it to anything else, although we haven't tried raw (and I doubt we will). 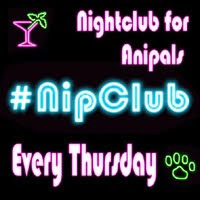 It's a bit inconvenient for travel, so when we do go somewhere we're switched to either a high quality kibble like Orijen or to some form of dehydrated, like the Honest Kitchen. I think freeze dried raw is super cool, but with four dogs who eat a lot from being so active it'd add up fast for us. Baron's mom cooked for him after he had surgery to remove a saliva gland. My mom isn't talented in the kitchen though. BOL!! I am not expensive to feed, probably because I am small & not very active. I am always on a d-i-e-t. BOL! That sounds super tasty. I think my dogs would love that as a treat! 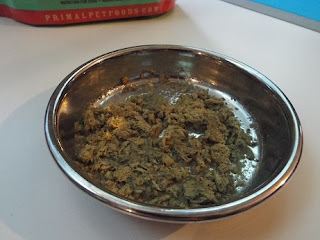 We got the freeze dried turkey liver in our August BarkBox and the dogs really enjoyed it. We just finished the bag last night. It is yummy! 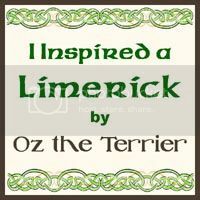 Your dogs would love it! Whenever I get tired of listening to people talk, I love to come here and read about something...anything at all.. written from a FURth person's point of view....and look at Pepper in the Yoda ears. BOL!!! I am happy you enjoy my woofing! Yoda ears now, at Christmas, I may be in reindeer antlers! BOL!! I shake them all off right after the photo is taken. BOL! I have to wait until Christmas? I was expecting to see you in a variety of Halloween costumes all through October. BOL!! Don't worry, you will see me in at least one costume for Halloween! We get kibble. Mommy would change to freeze-dried raw in a wink, if it wasn't too expensive. But daddy's kind of old-school. BOL!! Hey Pepper! Great review on the Primal! You know I eat only Primal prepared raw now, both the freeze-dried and the frozen. The frozen is great for at home; it's easy to defrost, has no odor (like some people think it would) and it is yummy! 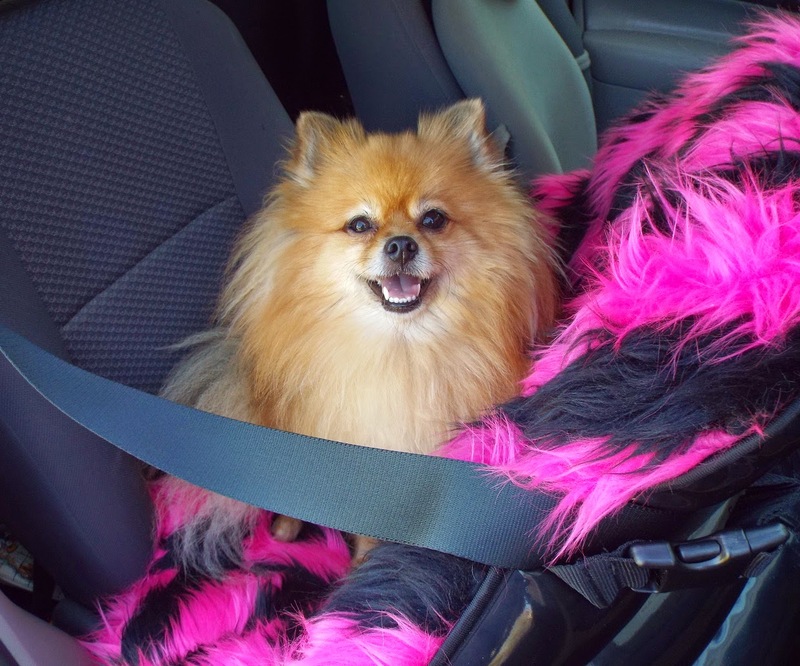 The freeze-dried is perfect for travel - like when we went to BarkWorld and camping - but I eat that at home as well. You're right Oz, non of the food stinks! Mom's aged cheeses smell stronger. BOL!! I think I will get more venison in winter since it is a "hot" meat. Yes, I read your food temperature post! I am furry, so I don't need any extra warming in Summer. BOL! I have been getting duck for breakfast since I read your post about the food temperatures. I tried feeding this brand/type of food to Lou when we got a sample a few months ago. Lou took one sniff and would not touch it! You are so cute. And I like the way you write your review. Barf and good and we are so glad there's freeze dry barf now. It makes everything so clean.